Step out from your luxury suite in the desert hills of Tucson and onto the course with timeshare accommodations at Starr Pass Golf Suites. 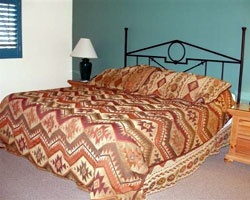 Find timeshare resales and rentals up to 70% off with SellMyTimeshareNow.com. What’s My Starr Pass Golf Suites Timeshare Worth? Immerse yourself in the beautiful desert foothills just outside Tucson with the rooms at Starr Pass Golf Suites. Located on one of the area's best golf courses, the Starr Pass resort provides comfortable accommodations in a Southwestern paradise. However, the resort isn't just for golf vacations—the Starr Pass is close to many of the area's natural wonders and historic attractions, like Tucson Mountain Park and Saguaro National Park. 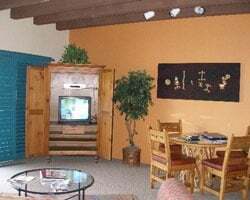 Comprised of studios, one bedroom units, and two bedroom units, the casita-style accommodations at the Starr Pass are perfect for couples, families, and small groups alike. With sweeping views of the desert and the meticulously-landscaped golf course, the luxury accommodations at the resort will provide you with the full desert escape experience. Common unit amenities include fireplaces, private balconies, and up-to-date furnishings. Are you ready to guarantee yearly trips to Tucson? 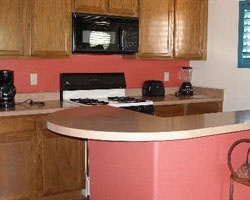 Timeshare resales and rentals at the Starr Pass Golf Suites are available now. Fill out the form on this page for more information, or call a representative at 1-877-815-4227 today. 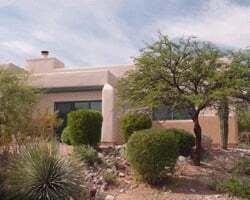 Owning a timeshare at the Starr Pass Golf Suites Tucson can be rewarding enough, but purchasing one on the resale market can be especially beneficial. Since the resale advertisements at the Starr Pass are posted for-sale-by-owner, the cost of a timeshare resale is significantly lower than what the resort itself offers. It is not uncommon to find the same great accommodations and ownership opportunities at the Starr Pass for up to 70% lower than retail costs. What's more, Starr Pass timeshare resales are available in both deeded and floating weeks, giving you a variety of options to choose from. You won't have to change your vacation preferences when buying a timeshare resale. The Starr Pass Golf Resort is affiliated with Shell Vacations Club. Resale buyers can start using their resale to make reservations during their Shell Vacations Club week immediately after the transfer has been completed. However, some resale owners may want to upgrade their timeshare into the club to use points instead of their week, allowing for internal exchanges at other Shell-affiliated properties. Club members can also unlock unique owner benefits like SVC Collections and SVC Premium Perks. Starr Pass Golf Suites are affiliated with Interval International, the world's second largest timeshare exchange company. Starr Pass resale owners can also obtain a separate Interval membership to trade their accommodations in Tucson for stays at other resorts around the globe. Exchanging your timeshare will allow you to broaden your horizons and discover new destinations if you choose not to visit Tucson any given year. Additionally, the Starr Pass Golf Suites are an Interval International Premier Resort, the highest rating achievable for Interval affiliates. This will likely give you greater trading power when looking to make an exchange. The Starr Pass resort is loaded with on-site services and amenities to help you relax and enjoy your stay in Tucson. The obvious draw for golf fans is the Arnold Palmer Signature Series golf course, which spans 27 holes in front of the Tucson foothills. The massive Olympic swimming pool and outdoor whirlpool spa will ensure days of relaxation under the desert sun. Other amenities like the fitness center, on-site dining at the Catalina Steakhouse, and guided hikes and tours are there for your utmost convenience. Nearby, the world of southern Arizona is your oyster. The resort's location will allow you to easily discover nearby attractions like the historic town of Tombstone, nature walks, and the Arizona Sonora Desert Museum. Intrepid guests may enjoy hiking at any one of the surrounding wildlife reserves and parks that dot the area, while others can simply find a spot just outside the resort at night for spectacular stargazing. Already Own at Starr Pass Golf Suites?